Today we furthered our study of Modernism in America with a few great artists of the 1950's and 60's who continued to take modern art in new directions. Once again, I'm amazed at the inventiveness of these artists; not just in their method and composition, but also in the meaning behind their works. First up: Robert Rauschenberg. 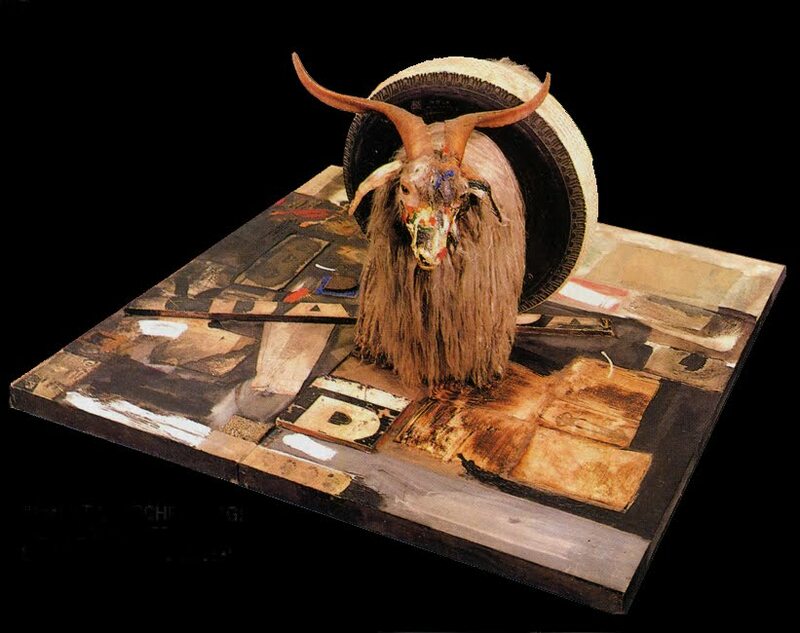 Rauschenberg was influenced heavily by Marcel Duchamp (The Fountain)and his ideas of appropriation; using found or ready-made objects and putting them in a different context. Rauschenberg didn't focus on the new marks he could make, but instead wanted to use marks already in existence. 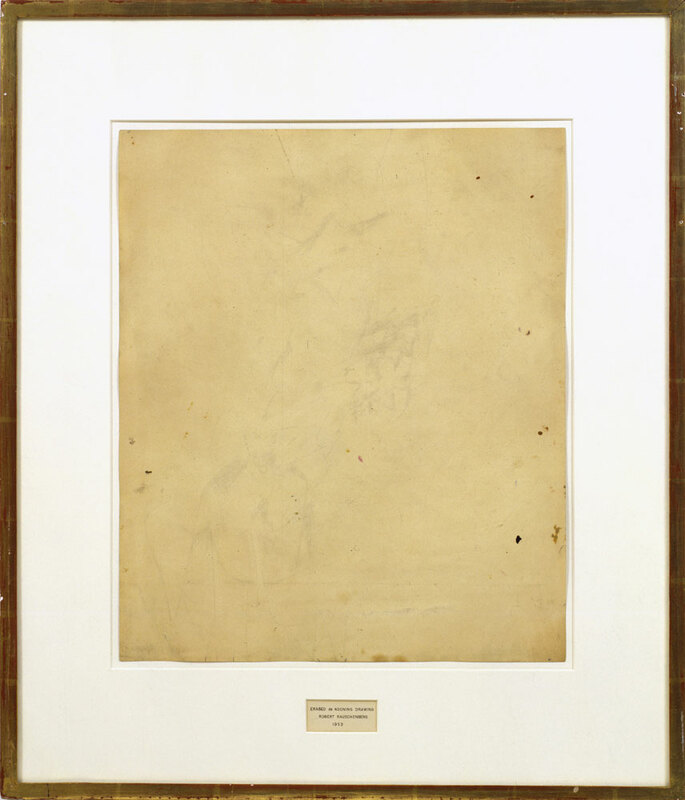 One of the most interesting examples of this ideology was his Erased de Kooning Drawing, 1953 (below), in which he literally took a drawing of de Kooning's and erased it, creating a whole new work of art through using marks already in existence and altering them, and in this case, erasing them completely, resulting in a really beautiful piece of art. 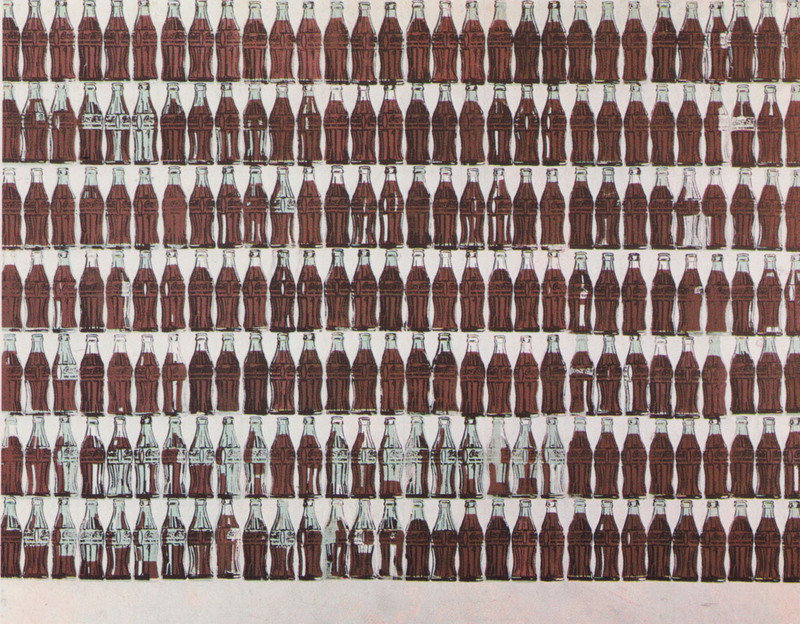 Rauschenberg is also known for portraying this same idea through Assemblage. Assemblage is a three-dimensional artistic composition made by putting together found objects. Rauschenberg seemed to gravitate toward Assemblage because of its ability to convey multiple subjects, moods, or meanings in one single piece of art. His works were meant to be looked at as small fragments from different moments in time. Below is Rauschenberg's Monogram, 1959. Next up: Andy Warhol. Because he is so well-known, I contemplated selecting a different Pop artist to highlight, but after I studied him a little bit more today, I feel like there is a lot more meaning to his art than I, and possibly you, originally thought. Warhol responded to the emergence of movies, television, and media and its strong presence in society and it's affect on the culture around him. 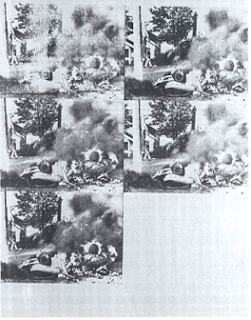 White Burning Car III (below) is a darker subject matter and the image repeats itself over and over again, similar to how a viewer can see the same tragic event over and over on television or in a movie. 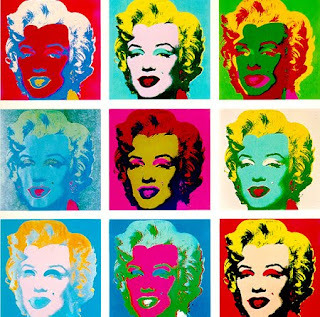 Warhol gravitated toward people as his subjects when they became tragic figures, such as his Marilyn series, 1962(below). 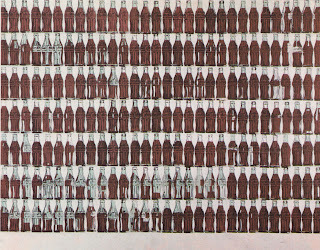 Warhol and others of his time captured the thought that depictions of famous people or things is really just a depiction of the unknown millions who recognize it. Michael Warner said, "The mass subject cannot have a body, except the body it witnesses." I'll be honest, I've never thought about it quite like that before, but it's completely true.